Tequila and Mezcal Fest 2017, Que Fiesta! Tequila and Mezcal Fest 2017…QUE FIESTA!! This year felt like the biggest party in the four year history of the festival. As a result, we’ve been recovering, so it took us a while to wrap this year up. 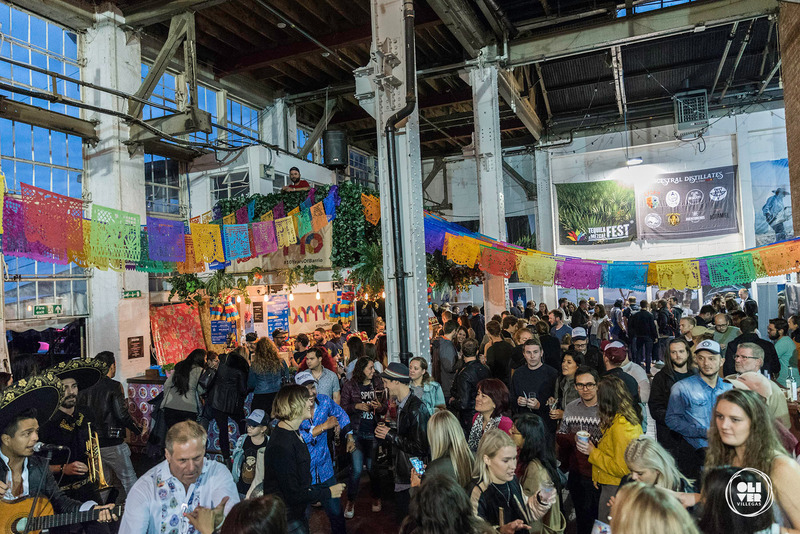 The variety of agave spirits, the food, the music and cultural dances, all created such an atmosphere that the venue felt just like a lively cantina in Mexico. We at Tequila and Mezcal Fest first off want to thank all of you who attended this year’s festival. We could not have had such a fiesta without you. And of course, without the support of all the brands, exhibitors and partners, there would have been no festival to attend. A giant muchas gracias to everyone who supported Tequila and Mezcal Fest 2017. Mariachis performing, Photo by Roger Alarcon Photography. This year the seminars packed them in. We had some big names in the industry speak, from Jaime Orendain of Arette Tequila, Francisco Alcaraz and Antonio Rodriguez of Tequila Patron, Deanno Moncrieffe of Don Julio, Adriana Cavita of Peyotito, Alex Mermillod of Mezcal Amores, OliverJohn Pergl from Jose Cuervo, Gaby Moncada from Mezcal Derrumbes and the Agave Queens. Many seminars were standing room only. The depth of brands on showcase this year was amazing. We had some favourites, like Tequila Fortaleza, Tequila Tapatio, Bruxo Mezcal and Tequila Herradura. But there were plenty of new brands to explore like UWA Tequila, Balam raicilla and several different sotols and bacanoras. You could not complain with the variety that was found at Tequila and Mezcal Fest 2017. La comida was completely off the charts this year. We had our usual favourites with Café Pacifico and Barrio Bars. But this year Temper was a new addition with their wood fired goat cooking on racks for everyone to see, smell and savour. Without a doubt, this was one of the best years for food at Tequila and Mezcal Fest 2017. What is a festival without some entertainment? Los Dos Amigos, Folklore Group Mestizo and of course Mariachis provided some excellent music and dancing that brought the crowds to life. Things got kickin’ even more with Krix Panx. This year was a great year for all agave lovers in the UK. And through all the support of the brands, exhibitors and attendees, we are proud to announce that £1500 will be donated directly to relief efforts in Mexico after their devastating earthquakes. Eduardo Gomez, founder of Tequila and Mezcal Fest will be making the trip to personally see the donation goes to the right place. Tequila and Mezcal Fest 2017 would like to thank all of you for making this year such a fun event. One last gracias to our three photographers, Roger Alarcon, Oliver Villegas and Barrio Bars. We hope to see you again next year, for Tequila and Mezcal Fest 2018.